Each year since 2010, CCA NH has hosted the Piscataqua Oysterpalooza in order to raise awareness for the Oyster Shell Recycling Program, and of course, eat oysters! During the event, oyster shell is collected and recycled in order to help re-establish depleted oyster beds in Great Bay. The event hosts a multitude of different local farmers from Great Bay, as well as local restaurants that participate in the Oyster Shell Recycling Program. With live music, local food, and a family-friendly atmosphere, the Piscataqua Oysterpalooza draws a crowd every year. CCA NH started hosting the Tackle Flea Market in 2015. 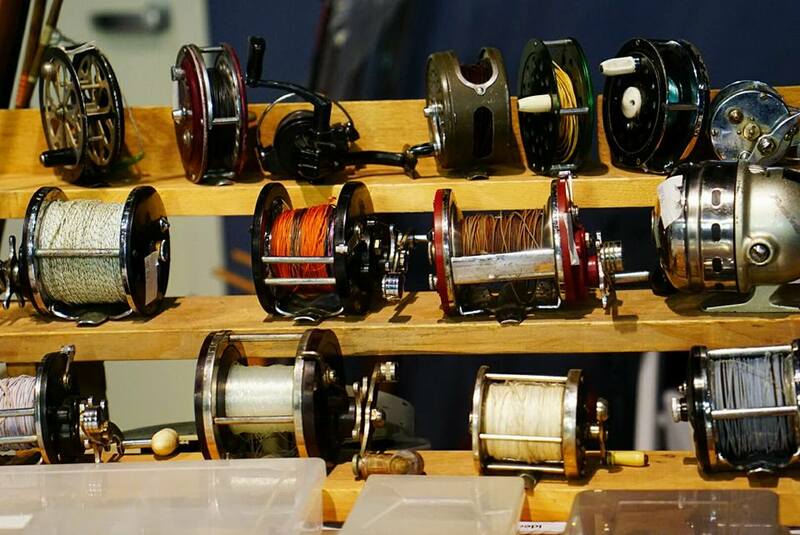 We felt that we should break up the monotony of winter, and get anglers and non-anglers excited for the upcoming season by giving them the opportunity to get together and buy/sell/swap gear. We invite anyone who wishes to have a table at the event to bring their old gear and hopefully find something new. The event is open to the public, and we welcome anyone who has any interest in spending time on the water to attend. You never know what you’re going to find! All types of fishing and boat gear are welcome. All proceeds from table space sales and admission will benefit CCA NH and future marine conservation. All money made from your sales is yours to keep!